"SIDE AND UP-SIDE" LINES AT THE BOURNEMOUTH AVIATION MEETING: Flt.-Lieut. 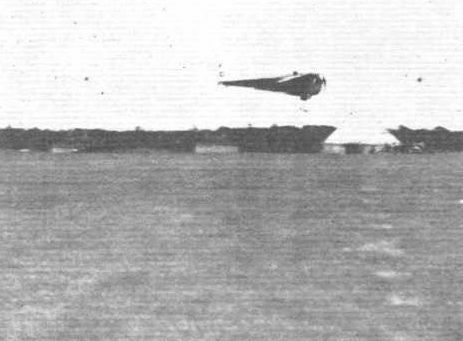 J. S. Chick making a test flight on the R.A.E. "Hurricane" (Bristol "Cherub"). THE RACE FOR THE GROSVENOR CHALLENGE CUP: No less than 21 machines faced the starter for this race, a record number. The result was that machines frequently got bunched together at the turning points. Our photograph show one of some such incidents. In 3 may be recognised the Short "Satellite," the Parnall "Pixie" and the R.A.E. "Hurricane." THE BOURNEMOUTH AVIATION MEETING: Item from Sunday's big race - Flt.-Lieut. J. S. Chick winning the third heat. A SPLENDID FINISH: The event of the day on Sunday at the Bournemouth Meeting was the final for the Bournemouth Summer Handicap. This was won - " at the last minute" - by D. A. N. Watt on the "Swallow" seen on the extreme left about to cross the line, from Flt.-Lieut. J. S. Chick on the R.A.E. "Hurricane," seen "jumping the hurdles" on the extreme right. Three remaining machines in the race are also to be seen (centre), the nearest being W. L. Hope on the "Moth" next A. S. Butler on the D.H.37, and, banking round into the straight, H. S. Broad on the red-and-white "Moth." 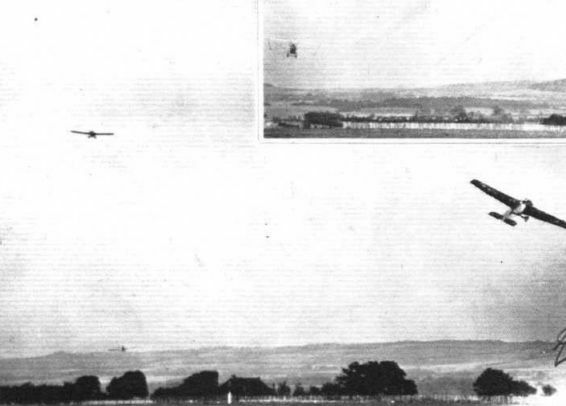 SOME LIGHT PLANES COMPETING AT LYMPNE: The R.A.E. 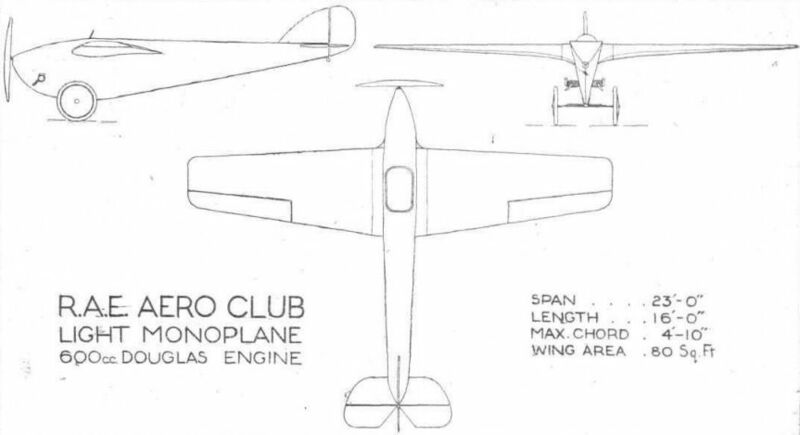 Aero Club "Hurricane" with Bristol "Cherub." AFTER A FLIGHT: Bringing in the "Hurricane" monoplane. The lower picture gives a good idea of the lines of this machine, the general arrangement drawings of which were published last week. 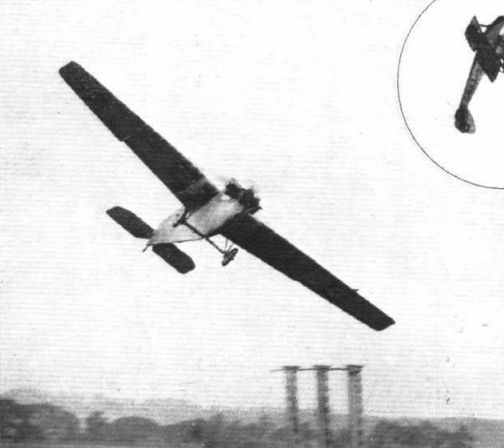 Inset, the machine in flight. At Lympne: No. 14, the R.A.E. 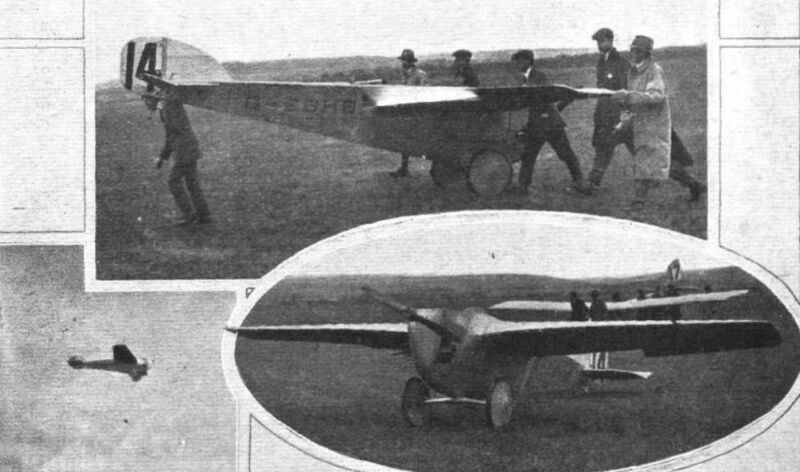 Aero Club's monoplane, the "Hurricane," being wheeled through a gate in the transport test. 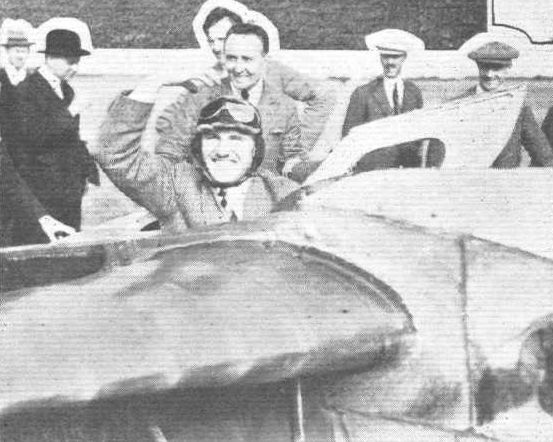 GROSVENOR CHALLENGE CUP RACE: Chick acknowledging the applause of the public. The calm arrival of the "Hurricane" at Bournemouth: The R.A.E. "Hurricane" (Bristol "Cherub") came to Bournemouth by road, as shown. LIGHT 'PLANES AT LYMPNE: A few interesting constructional features. 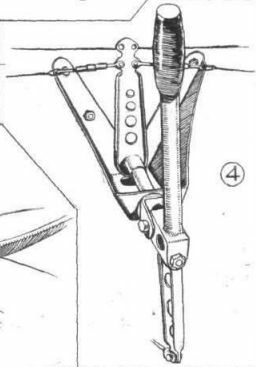 4, the unusual control stick arrangement on the "Hurricane." LIGHT 'PLANES AT LYMPNE: A few interesting constructional features. 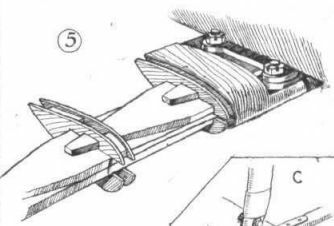 5, the laminated steel spring axle of the undercarriage.